The tax returns of US Republican Party’s vice presidential nominee Mike Pence have been released. WASHINGTON (Sputnik) – The tax returns of US Republican Party’s vice presidential nominee Mike Pence have been released, although presidential candidate Donald Trump has still not shared any tax information himself. "These tax returns clearly show that Mike and Karen Pence have paid their taxes, supported worthy causes, and, unlike the Clintons, the Pences have not profited from their years in public service," Pence’s press secretary Marc Lotter said as quoted by The Guardian on Friday. 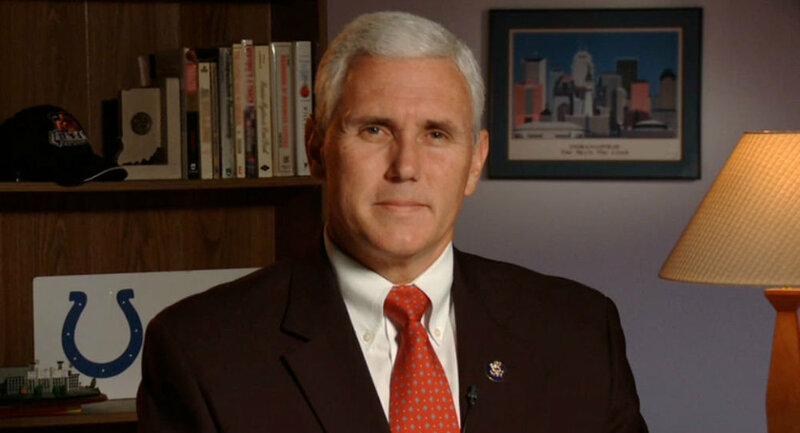 According to the tax returns published on the Trump/Pence campaign website, the Indiana governor paid a 12.4 percent tax rate on a family income of just over $113,000 in 2015. Of that money, $8,923 was donated to charity, which is about the same sum as his 2015 federal income tax. US Democratic vice presidential nominee Tim Kaine released ten years of his tax returns in August. According to his 2015 tax return, Kaine was taxed on $311,694 of earnings. US Democratic presidential nominee Hillary Clinton’s adjusted gross income in 2015 was $10,594,529.00 according to the Internal Revenue Service (IRS) document posted on her campaign website in August. According to the Clinton campaign, she paid a combined federal, state and local effective tax rate of 43.2 percent. US law does not require presidential candidates and their running mates to disclose tax income returns. Republican presidential candidate, billionaire Donald Trump has still not released his tax returns.